Despite several justifications advanced by the management of Databank that depositors funds are secured and there is no cause to worry, Member of Parliament for Bolgatanga Central, Isaac Adongo foresees the bank’s challenges akin to a similar incident surrounding the infamous Menzgold scandal. The MP has urged the Securities and Exchange Commission (SEC) to do a “thorough compliance review” of investment firm Databank, to safeguard depositors’ funds. In a statement, Mr Adongo said: “The CEO and the bank [Databank] insist that the challenges facing the company are not peculiar, but as a result of panic withdrawals by customers resulting from fears triggered by the Menzgold problem”. “While this is akin to a blame game, the assertion rings very loud alarm bells and may just be the tip of the iceberg. I, therefore, call on the Securities and Exchange Commission (SEC) to act professionally, as a matter of urgency, by moving in to secure depositor funds and seize the opportunity to do a thorough regulatory compliance review and assurance of Databank”, he suggested. In recent weeks, Databank, and its Chief Executive Officer have been making frantic efforts to convince customers that their deposits are safe with the investment firm. The CEO and the bank insist that the challenges facing the company are not peculiar but as a result of panic withdrawals by customers resulting from fears triggered by the Menzgold problem. While this is akin to a blame game, the assertion rings very loud alarm bells and may just be the tip of the iceberg. I, therefore, call on the Securities and Exchange Commission (SEC) to act professionally, as a matter of urgency, by moving in to secure depositor funds and seize the opportunity to do a thorough regulatory compliance review and assurance of Databank. This is because the excuse used by Databank to explain the panic withdrawals may not be wholly accurate, especially given the current situation and the constricted regulatory environment that asset management companies have endured over the past 24 months. Subsequently, these fund management companies, investment and universal banks, as well as savings and loans companies, saw dramatic panic withdrawals leading to a liquidity crunch in the financial sector that transmitted into the wider economy. In the months that followed, I had cause to warn the Director-General of SEC to reverse these directives to save the financial sector from collapse. While SEC pretended to turn a blind eye to that warning, its directives succeeded in creating insolvencies leading to Bank of Ghana collapsing them. Consequently, I accused SEC at the time of creating insolvencies for BoG to collapse these banks. At the time, it was strange that Databank managed to redeem its investments from its peers such as BEIGE Capital, Ideal Finance and OmniBank just to mention a few before the directive was issued. This saved it from the plight of financial players whose moneys have since been locked up at Consolidated Bank Ghana Limited and GCB Bank. As former Databank employees are littered everywhere in the financial sector, including the Ministry of Finance and the SEC, one wonders if the ability of the bank to have withdrawn its funds before the collapse of those banks was because some of its former employees shared privileged insider information. What is clear, however, is the fact that Databank is not an exception to the general liquidity crunch faced by investment banks and fund management companies struggling to meet their commitments to customers. A senior figure in the financial sector aptly described the situation as ‘LIQUIDITY EBOLA’ and as is already known about the dreaded virus, it is not a respecter of persons. This is why it is important for SEC to take these warning signs from Databank seriously and not look on for it to lament its way to death with depositors’ funds for the state to spend billions of cedis to clean it up. It is interesting to note that no financial institution struggling with liquidity challenges, insolvency staring it in the face, and in imminent collapse, would own up to the true dangerous financial health it is in until regulators go in to uncover the true state of affairs. Examples abound in Ghana in recent times. I note the CEO’s touting of their unique business model that he claims is underpinned by good corporate governance, ethical conduct and the pursuit of reasonable returns. This is strange and laughable, and so, because which ethical business will sign a contract with its founder and owner, the Finance Minister to act as its transaction advisor in borrowing for the government without the slightest shame of conflict of interest? If you were not in pursuit of abnormal and greedy interest rates, why did you invest in BEIGE when their interest rates were higher than the industry average? As the Minister of Finance is on his way to engage in a road show to borrow $3 billion, his own company, Databank is his transaction advisor whom he will pay huge sums of money to as fees. Is this the kind of ethics the CEO is referring to at Databank? When former staff of Databank started occupying key positions at BoG and SEC, I made it clear that the Finance Minister and his cronies were creating a politically-risky Databank and its related parties who would appear to be above regulation. Today, the Director-General of SEC, Rev Ogbamey Tetteh, who was a Vice President at Databank, is conflicted in the dire situation at Databank. Can we trust him to act on the scary situation at Databank? Even if he does, can we trust that he will tell us the true state of Databank? 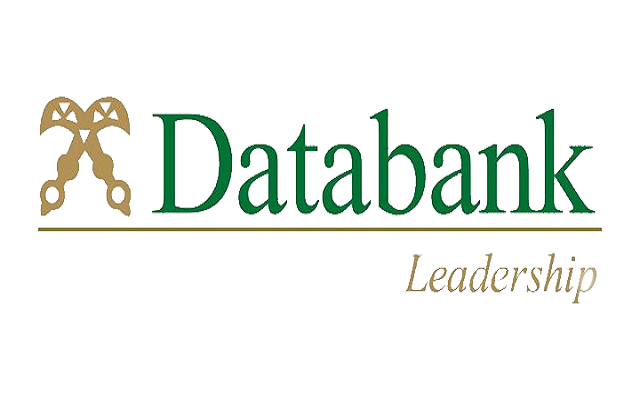 Clearly, Databank remains a huge regulatory risk for as long as its former staff are dominant in the regulatory space. Of course, only a change in leadership at SEC will bring confidence to the regulatory status and compliance at Databank and the Enterprise Group.